Drunk driving is a major cause of truck accidents. Although it is prohibited by federal laws and trucking regulation to drive under the influence of alcohol, there are still many truck drivers who drive commercially with traces of alcohol in their system. If such a driver happens to be on the road and causes a truck accident which injures or kills a victim, a truck accident attorney can help the victim or the family to seek closure by charging the driver with gross negligence as well as seeking punitive damages for the victim. 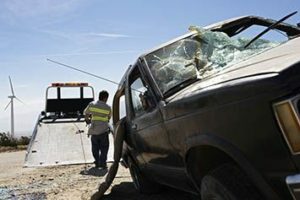 If such a truck accident happens in Chula Vista, you would need a reliable accident attorney to see you through. Contact the legal services of Rawa Law Group truck accident attorneys in Chula Vista who are experienced handlers of such accident cases to be your legal counsel. As your legal counsel, you are entitled to a reliable, well-versed truck accident attorney in Chula Vista, who understands the rudiments of a good case and is able to help you win your legal battle.